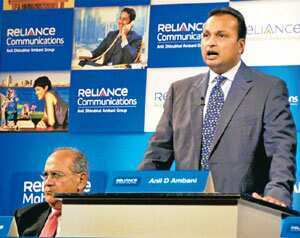 Mumbai: Reliance Anil Dhirubhai Ambani Group (R-Adag) chairman Anil Ambani on Tuesday told shareholders of Reliance Communications Ltd (RCom) that the company is reviving a plan to sell shares in its telecom tower subsidiary, a move driven by the “need to be asset-light" and “improve return on equity." The initial public offer (IPO) will seek to sell a 10% stake in Reliance Infratel Ltd, Ambani said at RCom’s annual general meeting in a packed south Mumbai convention hall, but stopped short of specifying a time line for the listing or the expected valuation. RCom joins firms such as JSW Energy Ltd and DB Corp. Ltd that have showed renewed interest in share sales in the resurgent IPO market. JPMorgan, Deutsche Bank, Macquarie Group Ltd, HSBC Ltd, UBS, JM Financial Ltd , ICICI Securities Ltd and Enam Financial Consultants Pvt. Ltd are among those expected to arrange the stake sale, which could raise as much as $900 million, Reuters reported, citing people familiar with the proposed IPO. Harit Shah, analyst with Mumbai-based brokerage Angel Broking Ltd, arrived at a valuation in a 3 September note to clients. “RCom has given an indicative enterprise value of Rs82,000 crore, based on global and domestic tower company valuations, which implies an equity value of Rs67,000 crore after reducing debt," Shah wrote. RCom’s shares rose by 0.28% to close at ₹ 307.45 on the Bombay Stock Exchange, trailing the benchmark Sensex, which gained 0.87% to end at 16,886.43 points. India’s second largest mobile phone company by users, with 85 million subscribers, RCom also said its capital expenditure cycle had peaked and is now looking forward to “substantial revenues and free cash flows" in the coming years. “Despite substantial capex commitments of around Rs40,000 crore in just two years...we maintain a conservative net debt-equity ratio of 0.53. Our capex intensity peaked over FY 2008 and FY 2009. That phase of mega capital expenditure is now behind us," Ambani said. The IPO will further add to resources available with the RCom management, which will continue to have 85% control over the subsidiary after the IPO and a small strategic 5% stake sale that took place in 2007. It had divested that stake for around Rs1,400 crore, generating capital gains of at least Rs1,200 crore for shareholders and implying a valuation of around Rs27,000 crore. The group had planned an IPO for Reliance Infratel soon after it came out with its blockbuster Reliance Power IPO in early 2008, but the global financial meltdown put the public offer on the backburner. A spate of agreements the firm has signed recently seem to have revived the plan. “We have come a long way since then and made substantial progress in our telecom infrastructure business," Ambani said. Towers have more than tripled from 15,000 to 48,000 and tenancy slots grown to 75,000 from 20,000 with the hosting of a slew of new and expanding telecom operators. In the last few months, the tower unit has clinched tenancy deals with “Etisalat DB, S Tel, Aircel, Tata Teleservices, MTS and others," Ambani said. A Mumbai-based sector analyst with a foreign brokerage said these deals will lend a higher profile and certainty to revenue while bolstering valuations at the time of listing—an observation that Angel’s Shah seconds. “With these deals, visibility improves significantly for the tower company and the company (RCom) expects its tenancy ratio to rise," Shah said. “This is a key factor that is likely to significantly boost valuations for Reliance Infratel, as and when the tower co lists," wrote Shah, adding that the firm was also in talks with other operators such as Vodafone-Essar and Idea Cellular and “any wins on this front are likely to further boost its revenue visibility." In 2007-08, the tower subsidiary had a revenue of Rs1,500 crore which more than tripled to Rs5,000 crore in 2008-09. In the same period, the net profit has risen fivefold to touch Rs1,700 crore, shareholders were informed on Tuesday.